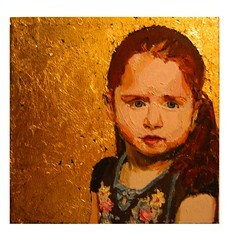 My friend Susan is an amazing artist who paints portraits on commission. Her work is beautiful and original, the final product being actual art with style, rather than a simple reproduction of an image. If you’ve ever wanted an artistic rendering of your kids and you like her style, check out her site. She’s currently taking orders. Wow! Is there a link to her site that I’m missing? Thanks!! I’ll have to check it out, though I suspect it is out of my price range!